We have some amazing museums in the Hawkesbury that are totally unique to Sydney. 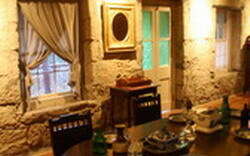 Explore the fascinating collections at the Hawkesbury Regional Museum to gain an overview of the history of the region. For more insights into colonial working life head down the road to Vine Cottage Tool Museum at Castlereagh or to Rouse Hill House & Farm. Another small but interesting museum is Cobham Hall at Wisemans Ferry. Want to see something more quirky? We have Sydney's only butterfly museum and a very unique radio museum at Kurrajong. 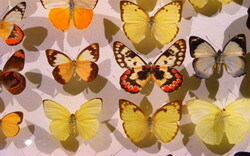 Situated on the Hawkesbury River this excellent display houses a static exhibition of butterflies and moths from around the world (not live butterflies). The collection includes moths, beetles, spiders, scorpions and insects from South East Asia. A collection for the enthusiast and curious alike. Cobham Hall, built in 1826 by convict labourers, was commissioned by Solomon Wiseman as a home for himself and his second wife Sofia. It was constructed of hand hewn Hawkesbury sandstone which is mostly still intact to this day. 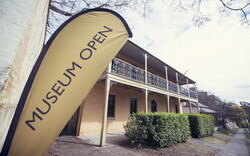 The museum tells stories of Australia’s third oldest mainland settlement through the permanent exhibition Land, River, People as well as temporary exhibitions and historic Howe House (c.1820s). 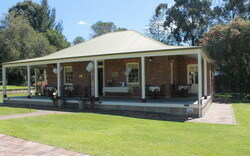 The museum is also a visitor information centre, specialising in information on the Hawkesbury. With a comprehensive collection of radio memorabilia, this is a great experience for the nostalgia buff and student alike. 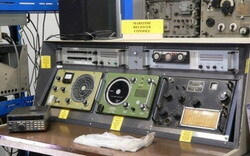 It contains operational radios and equipment ready to be demonstrated. Guided tours. Large groups welcome. 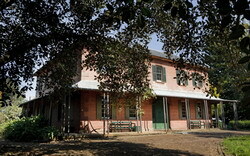 Crammed with more than 20,000 objects dating back as far as 200 years, Rouse Hill House & Farm expresses the hopes and dreams of six generations of family life in rural New South Wales from early colonisation to the late 1900s. Vine Cottage Tool Museum exhibits a wide and varied range of tradesman tools dating from Australia’s early colonial era. A unique and intimate venue filled with history. Garden weddings, special events, high teas. Caters for group bookings of up to 60 people.